These earrings are made from brass, textured backs and acrylic enamel. The leaf pattern is realistic yet simplified. 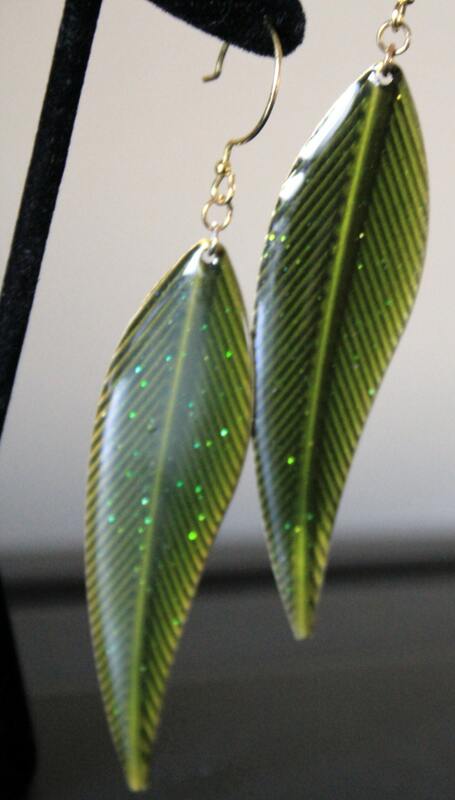 The acrylic is verdant green with tiny flecks of reflective glass in them. 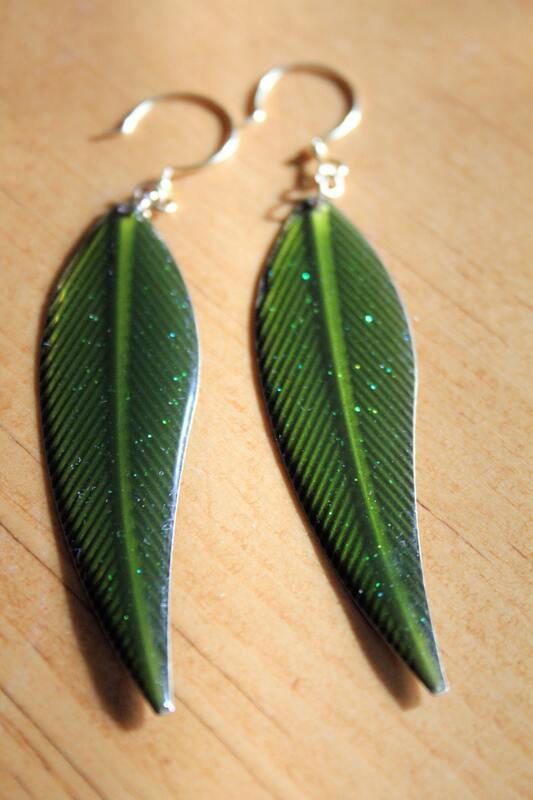 They are very light weight and are 3 1/2 inches long from the top of the ear wire curve to the end of the leaf. The ear wires are gold niobium round French hooks. The earrings dangle on the neck and have lots of movement and little flashes of fire.